This is a small top down shooter game, using voxel graphics. You play as Reimu(other characters are unlockable, 21 in total as of 0.9.1) and you need to keep the donation box from being swarmed. Letting the box get swarmed, or taking damage/losing a life, will cause you to drop coins. Run out of coins and it's game over. 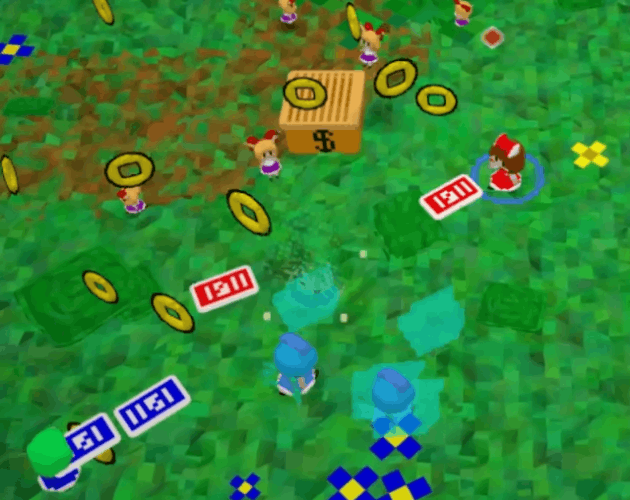 The game also has co-op multiplayer, where you share coins. You can unlock characters by using gems in the shop found on the title screen. This project was started as an experiment with WebGL(3D in web pages). Indeed quite a fun game. ＾＾ Although as an Opera user I didn't experience any odd crashes, but maybe it's a problem with a certain version or something like that. It's possible to play it on Opera, just avoid moving your mouse during right clicks(the specific issue seems to be something like if the mouse moves the frame after starting right click drag or something strange like that). Player characters cost less to unlock. And I've discovered the cause of the crashing issue with the Opera Browser, it is Opera's "mouse gestures", if you have them disabled, the game runs just fine no matter how you use your right mouse clicks. mouse gestures also would cause odd lag, and input errors while using the right mouse button. it is Opera's "mouse gestures", if you have them disabled, the game runs just fine no matter how you use your right mouse clicks. mouse gestures also would cause odd lag, and input errors while using the right mouse button. That's probably why I didn't have any problems then. I don't like the mouse gestures anyway. Opera otherwise hasn't had anything else that's made it any different or worse when I played this, so I'm at least glad for that. Coin Defender has been updated to 0.9.1. The update adds; online co-op multiplayer, 6 new playable characters, improved character graphics(finally have smooth lighting on the models) & graphics in general. 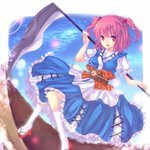 A handful of changes to character abilities, gameplay, plus some other changes, and tweaks. I didn't post about 0.9.0, so I'll condense down this big update's info. You now have infinite lives, now you only have to worry about running out of coins. taking damage and/or dying still drops some of your coins. You no longer have to hunt down every single enemy, defeating most will end the wave. Enemies no longer disappear at the end of a wave. Combos now extend the timer. Bosses are smarter and happen more frequently(5 levels between them instead of 7). Added 3 new characters, added difficulty levels, and a bunch of various other changes and tweaks.